The R82 Cricket is a lightweight, compact and easy-to-fold wheelchair developed with aesthetics, quality and comfort in mind. 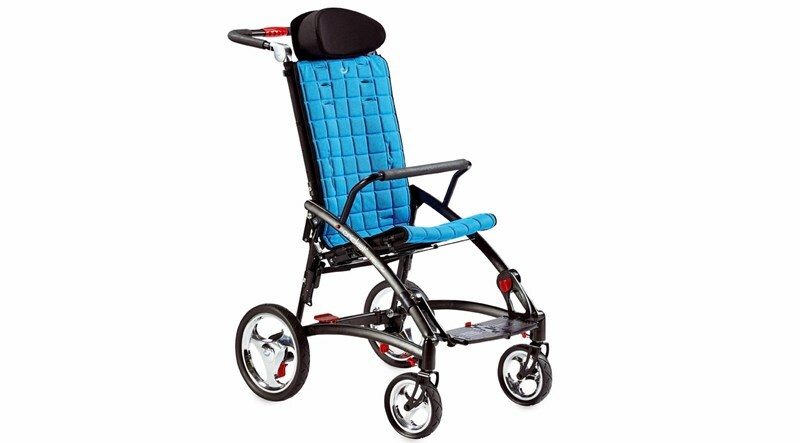 This fun push wheelchair provides support and stability for the child, along with excellent functionality for the caregivers. With its effortless maneuverability, the R82 Cricket is the perfect chair for outings and adventures! This 20°fixed tilt chair comes in two sizes and adapts to the child’s growth, maximizing its lifespan. 360° turnable front wheels ensure a smooth ride and make steering a breeze, and puncture-proof wheels provide exceptional performance. Children will delight in the choice of colors and caregivers will appreciate the ease of use and flexibility of the R82 Cricket. Furthermore, the Cricket is approved for transportation and complies with ISO 7176-19 for safe transportation in vehicles.